Listening to Rheal Cormier, his second stint in the New Brunswick Senior Baseball League was as rewarding as pitching 16 years in the major leagues. 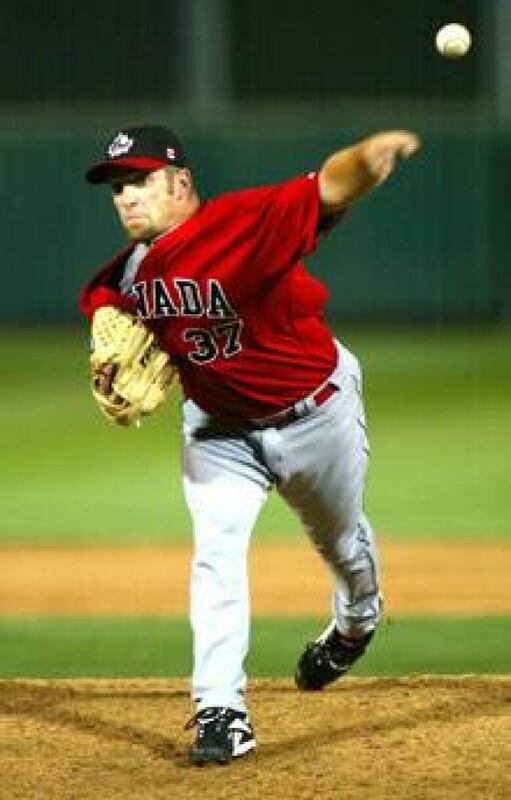 Prior to joining his Canadian Olympic teammates in late July, the left-handed relief pitcher spent five weeks with the Moncton Mets, with whom he won a bronze medal at the 1987 senior nationals. Part of the allure for the 41-year-old to go back "to the community where I started," was a chance to give back to the locals who had never seen Cormier play outside of the majors or watched him on television over the years. "For those who saw me as an amateur [in the 1980s] they could see how much of a different pitcher [I am] now," Cormier told CBCSports.ca, adding he helped run baseball clinics for youngsters in between his responsibilities with the Mets. "To have the kids come out and do the baseball clinics and try to influence some of the kids that are in the community [was a thrill]. If you have a dream, you just have to keep at it and do the best that you can. "You can always make it [to the next level]. It's just a matter of having the drive and having people push you in the right direction." Cormier, the pride of St. Andre (near Shediac, N.B. ), credits former major league pitcher Bill (Spaceman) Lee and one-time Mets coach Pete Slauta for helping him develop into a solid professional pitcher. Cormier sported a 71-64 record and 4.03 earned-run average in 683 games with five different teams during his big-league career, which he stepped away from this past spring. 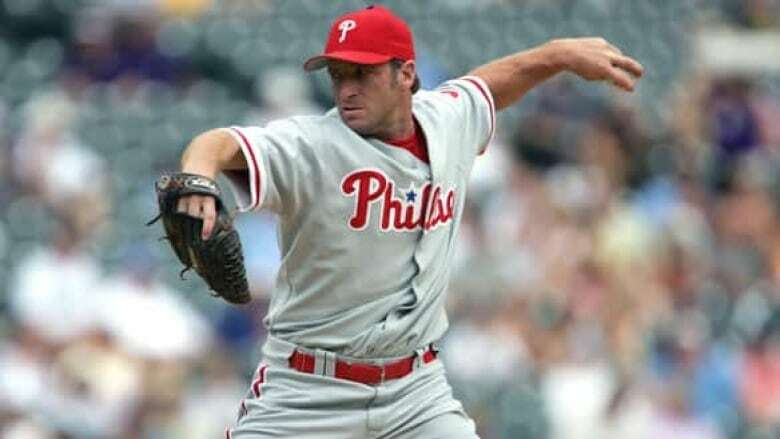 Granted his release by the Cincinnati Reds on May 9, 2007, Cormier later signed a two-week contract with the Atlanta Braves but ended his comeback attempt after experiencing tendinitis in the back of his left shoulder and back discomfort while pitching for the triple-A Richmond Braves. With no serious contract offers on the table from any of the 30 major league teams this past February, a healthy Cormier jumped at the chance to play for the Canadian Olympic team after talking with Greg Hamilton, Baseball Canada's director of national teams. To prepare for Beijing, Cormier sought a familiar setting and called Mets vice-president of operations Ralph Chambers, his former Moncton teammate. The only stipulations upon Cormier's return was that he pitch at least once in each of the four visiting ballparks and not exceed two innings in any game. "It's nice to come back and pitch for the team I started with," Cormier, who went 2-2 with two saves and a 1.74 ERA with the Mets over 20 2/3 innings, said recently. "Whatever level you play at it's still baseball. It's very humbling on a daily basis. "A lot of the players I played with [on the Mets] are now the owners, so I'm very fortunate to have had the opportunity to pitch here. I cherish everything." It was Cormier's professional and hard-working approach that not only rubbed off on his Mets teammates but the opposition. Fredericton Royals outfielder/infielder Jody Peterson wondered how Cormier would treat his return to the amateur ranks and came away impressed, telling CBCSports.ca the pitcher was accomodating to fans across the New Brunswick league and was genuinely interested in the minor baseball programs in the various communities. 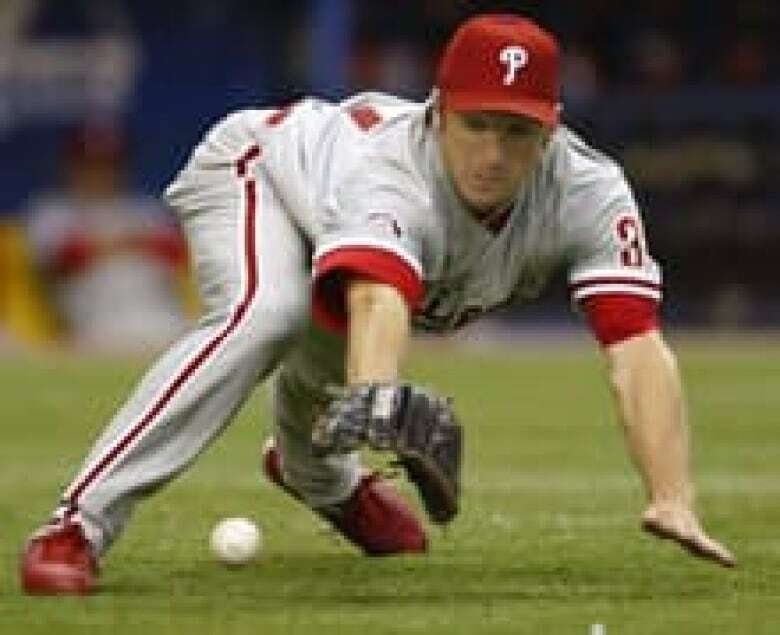 "After 16 years in Major League Baseball, he could have come back and think this is just a bunch of amateur kids and not have taken it seriously, but by all accounts he really, really took it serious and worked hard and was a great influence on that [Mets] program," said Peterson, who went 1-for-2 with a strikeout against Cormier in a July 6 doubleheader. "He just seemed to really embrace the fact that he was back [home] for a retirement party or a welcome home party. "I had a very frank conversation with [first baseman] Jody Cole, one of the leaders on the Moncton Mets and he said, 'Jody, he's been absolutely amazing. The guys have looked up to him, he's been fun to be around, he's been telling stories about his career … very open to things." While pitching for Canada might lead to Cormier reviving his pro career, the Florida resident is also content to have his baseball journey end with the Mets and Beijing Olympics. "I was blessed to play 16 years [in the majors] so I'm not bitter," said Cormier. "It was a job. I was very fortunate to play for a long time and be able to set up my family [financially] but there's other stuff in life." Sharing this Olympic experience with his wife Lucienne and teenaged children - son Justin and daughter Morgan - is what will make this tournament special. Cormier noted the 1988 Summer Games in Seoul, South Korea, "was great but a lot of it is a blur," because he was young. "When you get the opportunity to represent your country, it's something you have to cherish," Cormier said. "I think I will be more appreciative of that this time. "You're carrying the flag. You're carrying not just the sport itself, you're carrying a whole country that's on your back, people that support you and are with you. It's an honour, a drive." He brings a wealth of experience to the Olympic squad, having also represented Canada at the 1985 world junior championships, 1986 world juniors, 1987 Pan-Am Games, 1987 Intercontinental Cup, 1988 world senior championship and 2006 World Baseball Classic. Also driving Cormier is the fact this could be the last time he and his fellow Canadians compete for the country's first Olympic baseball medal. The sport has been lifted from the Olympic program for the 2012 Summer Games in London, but is eligible for readmission in 2016. Four years ago in Athens, Canada was manhandled 11-2 by Japan in the bronze-medal game, one day after an error by Canadian third baseman Peter Orr in the eighth inning led to six Cuban runs in a heartbreaking 8-5 semifinal loss. "You want to win, play well and get in the medal round," said Cormier. "And when the medal round comes, anything can happen." Spoken like a true professional who has seen it all.